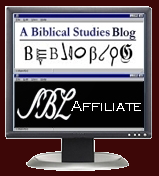 I am happy to announce that I am once again offering a "Survey of the Lands of the Bible" MOOC through Gettysburg Seminary. A MOOC is a "massive, open, online course," and it is offered for free. It runs on a weekly schedule beginning in September and is finished before Christmas. People can do as much or as little as they want in the class. Some buy the textbook, follow along weekly, and join in the discussions. Some just watch the videos I post. Some just drop by every once in a while. Some people just work on their own, but there were also a number of churches where adult Bible Study classes used the course for their fall curriculum. Last fall I had 230 people in the course including 32 from outside the United States. For more information on the course and enrolling, check this web page. If you just want to check out the course brochure: 2015 Bible Lands MOOC. I hope to see you online in the course!